I was only 23 when I was diagnosed with testicular cancer. A lot of people know my story, but I think many forget just how young I was. It was May 2001, and I had just had the best year of my career. I was enjoying great individual success. Cancer is the last thing you expect. But I look back now and think that, in many ways, my age helped me. The news was really, really hard for my family to take, but for me it was easier. Better to be 23 than 33 or 43, because I was just so naive. And back then, things were more simple. I didn’t Google anything. Didn’t read anything. I was diagnosed. I was told what it was. Right, okay. Get upset, get angry, deal with the people around you, and then get on with it. There was no drama. The first question was easy: will I live? The doctor told me there was a good success rate, but it wasn’t 100 per cent. Not ideal, but it sounded better than nothing. Next question: will I play football again? The doctor asked me what I wanted him to tell me. The truth. Immediately, it became: “How am I going to tell my mum?” It was like having to go home and tell her I was in detention. Then my girlfriend, who is now my wife. My dad. My sister. My nan. Days like that stick in your mind. I remember the next few days, just getting through them. I spoke to Theo Paphitis, who was Millwall chairman at the time. Mark McGhee was the manager, and they were just brilliant fellas. During that whole period – and afterwards too, when I was really struggling for form – they were outstanding. I was at rock bottom. All I could do was find out. If the cancer had spread, there was gonna be a proper fight. If it hadn’t spread and was consigned only to my testicle, I knew I could get it removed, have the treatment and move back up the ladder quickly. The 72 hours waiting for the diagnosis, the prognosis – whatever you want to call it – was difficult. Mind-numbing. Then the news. It was just in the testicle. It hadn’t spread. I knew there and then I was halfway to a full recovery. Let’s crack on now. The next setback didn’t come until I was back on the pitch. My second match after returning was against Wimbledon at Selhurst Park on a Tuesday night. I came on as a substitute, but didn’t feel great. The day after, I played a reserve game at The Den. Five minutes in, I couldn’t run. Couldn’t move. Head was all over the shop. I walked off the pitch. Five months on from my diagnosis, and it had hit me. It was hard for me, hard for the staff and the other players. I’d go to Gerry Doherty, who was the physio at the time. Open the door, no idea what to say or do. This wasn’t something you’d deal with on a physiotherapy course, was it? They didn’t know what to do with me. That was it. It was a difficult few weeks, months, but that’s what I had to do. Take a step back, and then start building again. It was September. I wasn’t back right, really, until the following January or February. 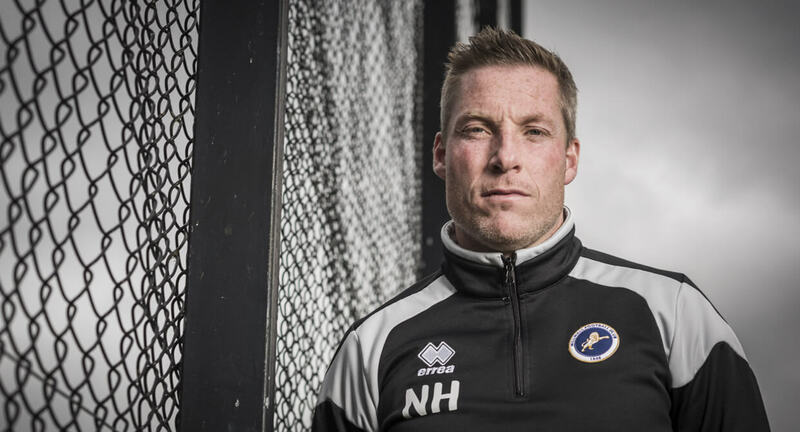 It was all a world away from when I had joined Millwall three years earlier. I was 19, just turned 20, an Essex boy living out in the sticks. To be honest, I didn’t even know where in London the club was. But it seemed a really good fit. Bob Pearson, the chief scout at the time, had watched me a lot and really made an effort to get me. I had never doubted my ability as a goalscorer, even as a kid, and I loved the opportunity to come in and try to match up to the pros. As a young non-league player, everybody wanted me to succeed. Everyone wants to find a non-league gem, don’t they, but it means I probably got more time than most. The club were in League One and going the young route, so it wasn’t just me. 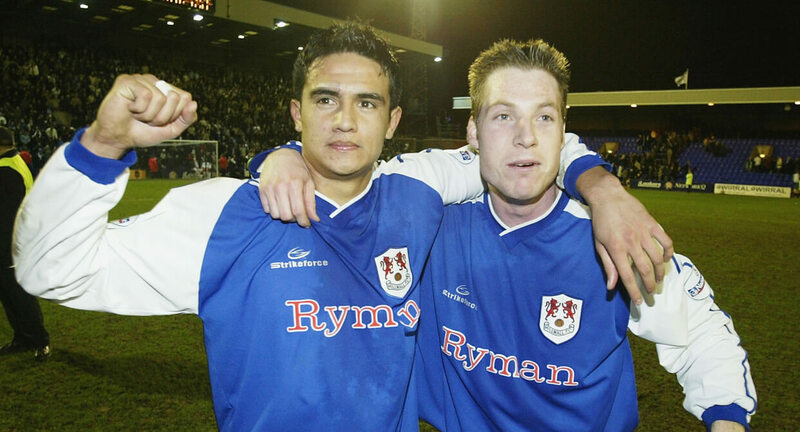 Tim Cahill (pictured above), Steven Reid, Richard Sadlier, Paul Ifill, Marc Bircham… I was very fortunate to come through with some really good players and really good lads. One night stands out from that time. I had just broken into the first team and we played Manchester City at home on a Tuesday night. We drew 1-1, I scored the goal, and the atmosphere at The Den was electric. I remember it as if it was yesterday: scoring the goal, feeling the atmosphere, the sense that washed over me. This is it. This is me. This is home. Where I want to be. I believed I would always end up back at Millwall. As a player, I came back in the first place because it felt like I had unfinished business. I wanted to be the club’s record goalscorer. I’d been away for a couple of years, and it dawned on me while I was away that I had never really played very well anywhere other than here. Don’t get me wrong: the location was first-class for me. But it felt like home, and I had missed it. Really missed that connection with the fans. 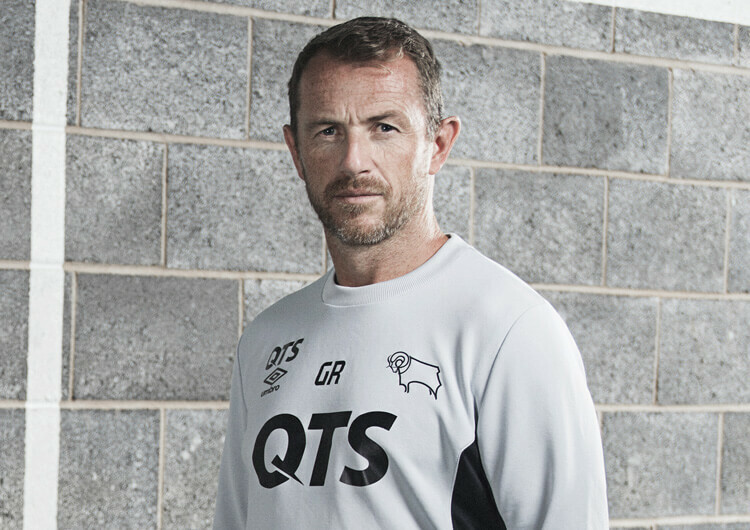 They got the best out of me, the club got the best out of me, and I wanted to come back. I had that desire. You can’t make it up, and you certainly can’t make it up at this club. 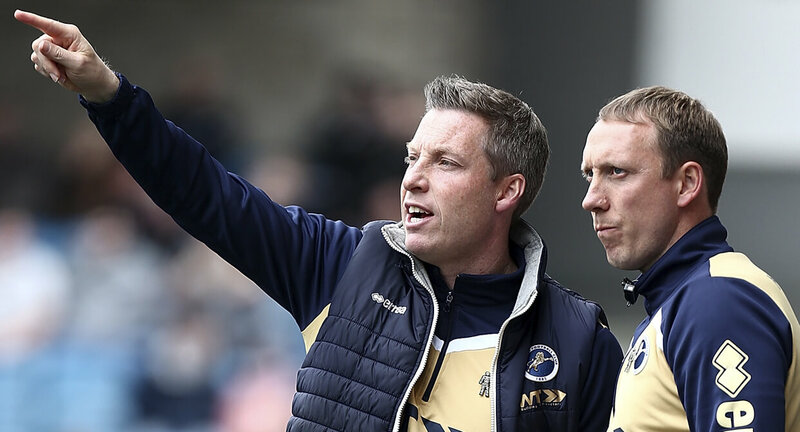 There’s having the winning mentality, the desire to want to win, and then there’s doing it in a Millwall shirt. You will lose games, and you will get criticised, but you’ve got to be able to take it. To have that extra edge, that hardness about your shell. That’s what David Livermore (below) and I look for in our players now. We want them to be stubborn, resilient, nasty… but top lads too. Kenny Jackett was the manager when I came back to the club. I’d just started doing my coaching badges, so was getting to a stage where I was really interested in what was being said. As coaches, Kenny and the late, great Ray Harford were the best I worked under when it came to delivering a message. They both kept things so simple. Was it because they weren’t going into much depth, or was it because they didn’t want to overcomplicate things? Was it just their style? Whatever it was, it worked, and the players reacted to it. That said, I think bright footballers naturally take things in and are always interested. I’ve got players with me at Millwall now who want to know everything we’re doing. I joke that they’re bloody nosy, but it’s because they’re interested – and it’s the bloody nosy ones who just happen to be doing their coaching badges now. Is that a coincidence? Of course not. They’re really good lads, but they’re also interested naturally – they’ve probably spent years subconsciously gathering experience and knowledge without even realising. I was always interested, but I didn’t expect to be in charge as soon as I was. 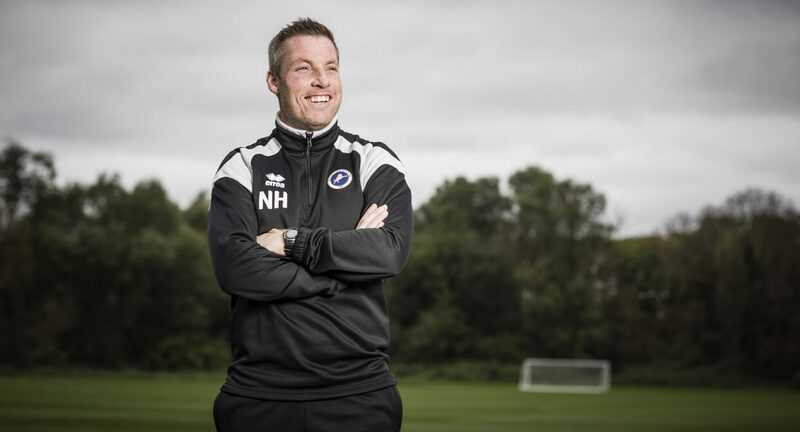 I was in coaching, doing the Under-23s here at Millwall, and thoroughly enjoying it. I’d worked with Stevie Lomas, who wasn’t much older than me, and then Ian Holloway, who had a wealth of experience. I learned loads from both, but at no point had I really looked at either and considered whether I could do that job. I thought I probably had the personality, but would players respond to me? Then Ian left, and the club asked me to take over. I wanted the job, but only for an interim period until the end of that season. I wanted that option to take a step back. We were going down, but I wanted to have that possible out in case I felt I wasn’t ready. Maybe it wasn’t for me. Maybe 38 was too young. I wanted to see how I coped with it, how it affected my family life and, biggest of all, whether the players would respond to my voice. And I loved it. 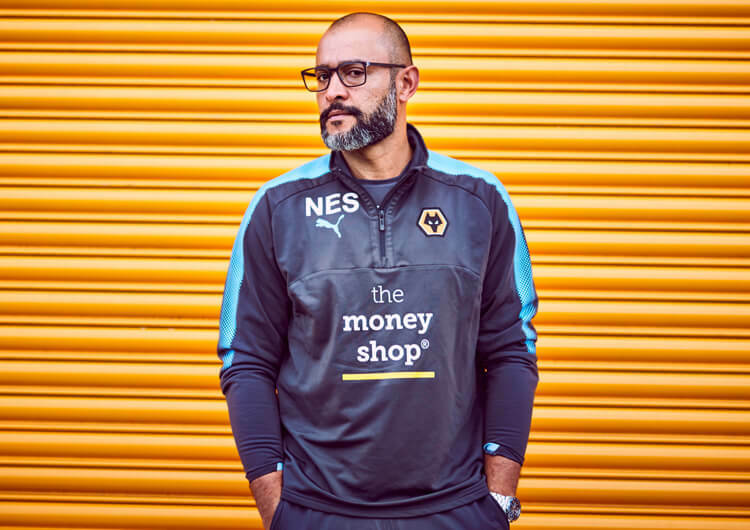 The fans responded, the board were great, the players were excellent, my family was hugely supportive and I really liked the staff I had worked with as a player and now a boss. Relegation was a foregone conclusion in my opinion, but we gave it a right go and I remember one game in particular. We beat Charlton at The Den. Local derby, sold out, and we won 2-1. David and I stood on the sidelines that day, and we just knew: if we could get this place rocking like this in League One, we had a right shot at being successful. I knew in that moment that I wanted it. I had one message for the fans, though. They had judged me as a player, and loved me as a player. I loved playing for them, and never wanted them to forget that, but I needed them to now judge me as a manager. I made sure I got that across in my first interview. As a manager, I’m a kid. I’m going to get loads of things wrong. If it doesn’t work, it doesn’t work. That was almost three years ago. I didn’t think I’d be here as long as I have been as a manager. Always hoped I would be, and I have thoroughly loved the job. I might not be here in three months – as a manager, you have to work every day like this is your last day in the job, because that is the game. One question is always chucked at me: did having cancer change your perspective on life? The answer is always no. My thought process towards life has never changed. I’m still a terrible loser. Terrible. I still lose my temper and get the red mist, as I’m sure most managers would admit to. But it has definitely made me a better person, both on and now off the pitch. I’d like to think it has made me a better man-manager, more able to talk honestly and openly to my players. Life in football can be a goldfish bowl, but nothing is ever the end of the world. Everything always has a context. There is always time to take a moment, and relax. To take a step back.